How do you share a virtual experience with your friends outside of the headset? What about the people who weren’t even there to watch? The LBVR industry is offering amazing moments to their patrons. With our newest full-service solution, they’ll be able to turn those moments into tangible memories with mixed reality pictures and video that they can take home and share. MixCast VR Photobooth is designed to cover the mixed reality experience end-to-end, with hardware and software coming together for the ultimate turnkey solution for LBVR and FECs. Once set up, arcade owners will be able to stream players in mixed reality and offer instant mixed reality takeaways to their patrons, increasing exposure through social sharing, and opening a whole new revenue stream. Get in touch today for more information, and be the first to bring this game-changing advantage to your VR arcade!  This week, we are debuting MixCast VR Photobooth at the IAAPA Attractions Expo in Orlando. Celebrating its 100th year, this show is the largest international trade show for the amusements industry, and its massive expo floor will feature over a thousand exhibitors representing aquariums, theme parks, zoos, LBVR establishments, and everything in between. We’re so pleased to announce we’ve teamed up with LBVR management and hardware company, Private Label VR, to demonstrate exactly how important mixed reality is for VR arcades and FECs in real time. Our joint demonstration in booth E7025 will invite expo attendees to defy gravity and walk the virtual plank in Richie’s Plank Experience, by Toast VR. If you’re attending the massive show floor at the IAAPA Expo this year, be sure to come by and experience the height of virtual experience!